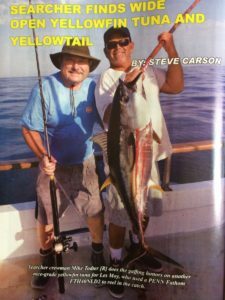 Searcher friend and fishing expert, Steve Carson, wrote an extensive report of the September trip to the Ridge and San Pablo. 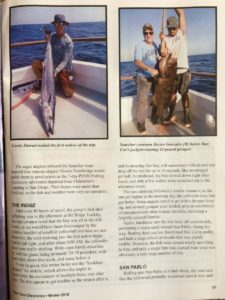 The article is now published in the Winter 2018 volume of Fish Taco Chronicles. Steve does a great job covering all his tackle insights and the exciting fishing conditions in this article. You can find this publication at your favorite tackle shop and read all about it!